The trouble is that some of these “xfinitywifi” hotspots are painfully slow or non-operational, actually getting you offline when you connect to them. You can best see that when walking down the street, streaming your favorite music with Spotify and suddenly it disconnects. Guess what – your phone just automatically connected to one of those rotten “xfinitywifi” hotspots. If Xfinity hotspots keep disconnecting for you, read below how to deal with “xfinitywifi” connectivity issues once and for all and never be disconnected or slowed down by them. Why do Xfinity WiFi Hotspots Keep Disconnecting? Xfinity cannot control all the places people put hotspots. Sometimes the hotspots are placed in locations that result in spotty signal strength or even dead zones – “zombie” hotspots. That’s why you may see you’re connected to “xfinitywifi”, but not able to access any website. If you are on the move (on the street, bus, etc.) you could also run into problems when moving between different hotspots. If you’re connected to the “xfinitywifi” network, your iPhone or Android smartphone will “navigate” from one Xfinity WiFi hotspot to another and even other public hotspots (Starbucks, McDonalds, etc.). So, there are many chances you stumble upon a non-working WiFi hotspot. Plus, by default, as you’re moving around, you will be “passed” around from hotspot to hotspot, like in the case of a cellular network. Unfortunately, mobile devices don’t handle WiFi handoffs smoothly and that’s one of the reasons why Xfinity hotspots keep disconnecting. Smartphones are bad at detecting poor Wi-Fi networks, and they default to Wi-Fi instead of LTE when it’s available. Connecting to a bad Wi-Fi hotspot is often the same as having no Internet at all. Public WiFi Not Working? Here's How to Fix It in 2 Minutes and Get Online! Unfortunately, the many issues with Xfinity WiFi hotspots leads most people in “Comcast Country” either telling their phones to “Forget” the “xfinitywifi” network so it won’t connect, or actually turning off their phone’s Wi-Fi to get off the broken hotspot. But once they do this, their phone won’t join other working Wi-Fi hotspots either, wasting valuable 4G data. Speedify is a smart app that offers patent-pending channel bonding technology for people like you and me. It basically securely combines 2 or more Internet connections for their aggregated speed and reliability. Get Speedify on your desktop or mobile device. Leave all your Internet connections active. For iPhones and Android smartphones – enable both WiFi and mobile data. Don’t worry – you can set data caps from within the Speedify app, so you won’t exceed it and pay extra. For laptops – you may have an additional 4G/LTE dongle or integrated card – activate that connection as well. Enjoy faster, more reliable Internet. 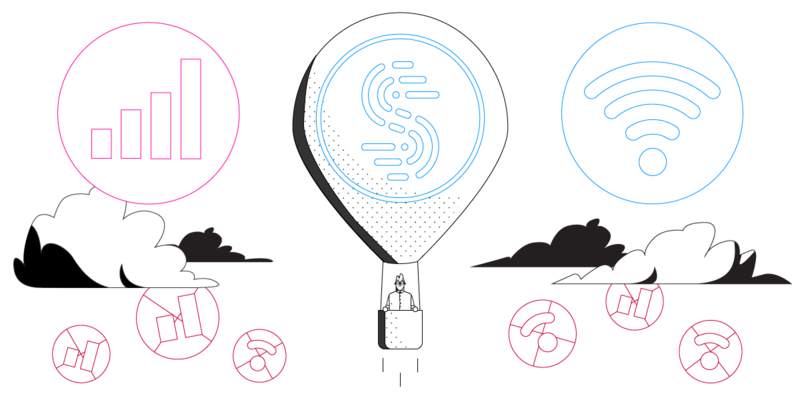 Speedify will automatically detect any new active Internet connections and toss them into the mix to create a faster and dependable Internet connection. By being able to use multiple Internet connections at the same time with Speedify, your iPhone, iPad, Android smartphone or laptop will avoid those nasty disconnects that show up when you get handed off from one “xfinitywifi” hotspot to another. Plus, if your device connects to a hotspot with no Internet functionality, by using the other connection, Speedify will keep you online. So, your Spotify will not stop, your Skype business call will not jitter and your video stream will still be online. 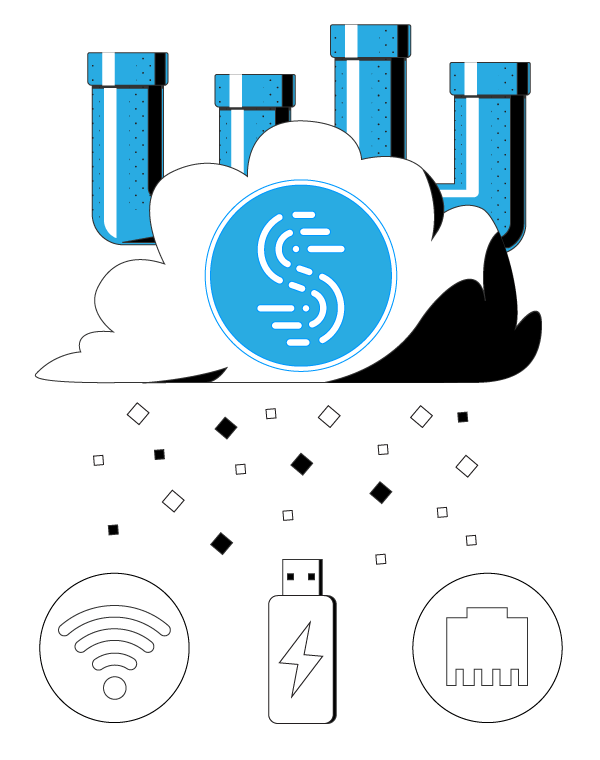 Speedify is more than just a powerful Internet connections manager, it is also the best and fastest mobile VPN. When you use Speedify to optimize your Xfinity hotspot experience, you are also getting fast, reliable, and secure data encryption. Speedify protects you against fake routers, snooping hackers, and other cyber threats without sacrificing the speed you demand out of your Internet connections. 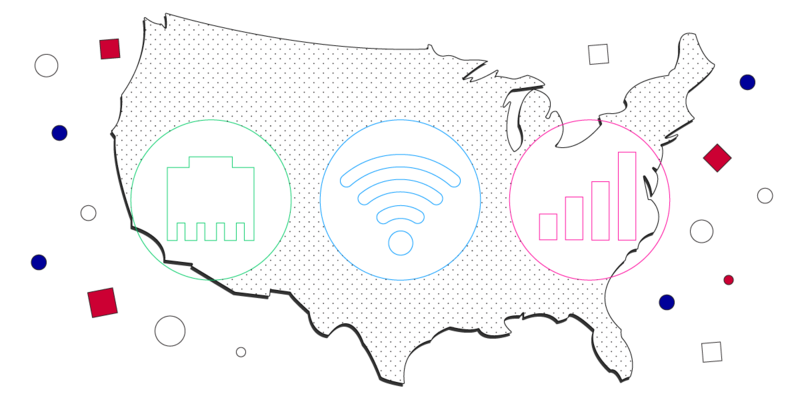 While other VPNs can be clunky and slow, Speedify is state-of-the-art. It is easy to use, it improves the speed and quality of your Internet connection, and it doesn’t drain your battery either. If you are an Xfinity customer, get started with Speedify today (no strings attached, no email sign-up necessary, no logging of data!) to make sure you are getting full access to the incredible nationwide hotspot network. You deserve to access the Internet on your own terms. The no-log VPN built from the ground up for security, speed, and mobility.